Please email us at [email protected] or call 970.682.4411 to arrange your trip. 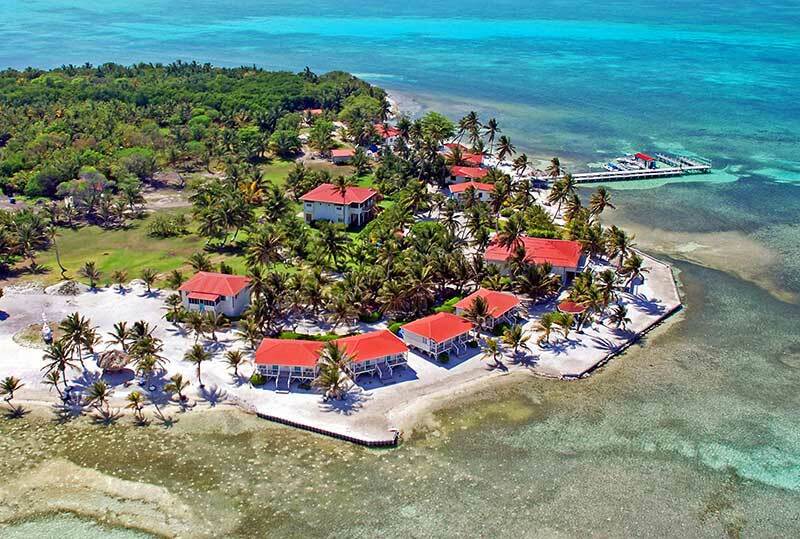 The Setting: Thirty miles off the coast of Belize, Turneffe Flats is located on a private point on the seaward side of Turneffe Atoll, the largest and most biologically diverse coral atoll in the Western Hemisphere. 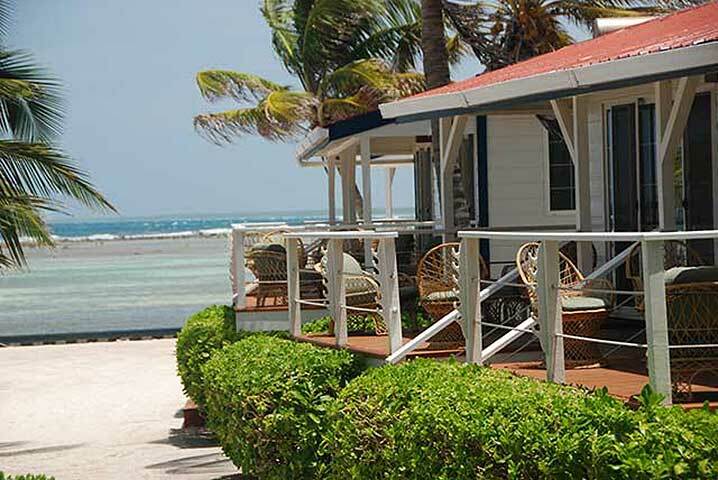 Turneffe is remote and strikingly beautiful with crystal clear waters filled with a diversity of marine life. Turneffe is noted for its diversity of saltwater fishing. 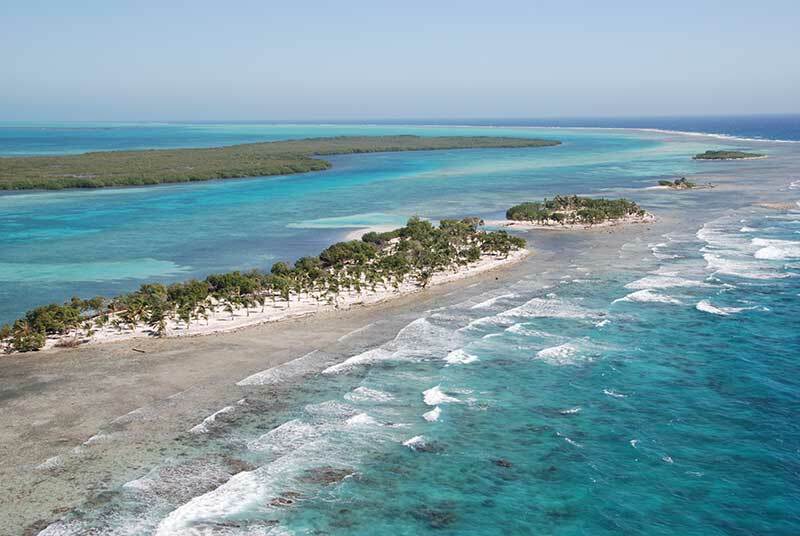 The availability bonefish, permit and tarpon make Turneffe Flats one of the rare spots in the world where you have a legitimate shot at a Grand Slam. In addition, there are a several other game fish targets creating a very diverse saltwater fishery. Bonefish: Bonefish are plentiful at Turneffe, both on the ocean side flats and in the mangrove-lined lagoons. The majority of our bonefishing is done on the firm-bottom wadeable flats extending along the eastern side of the atoll. 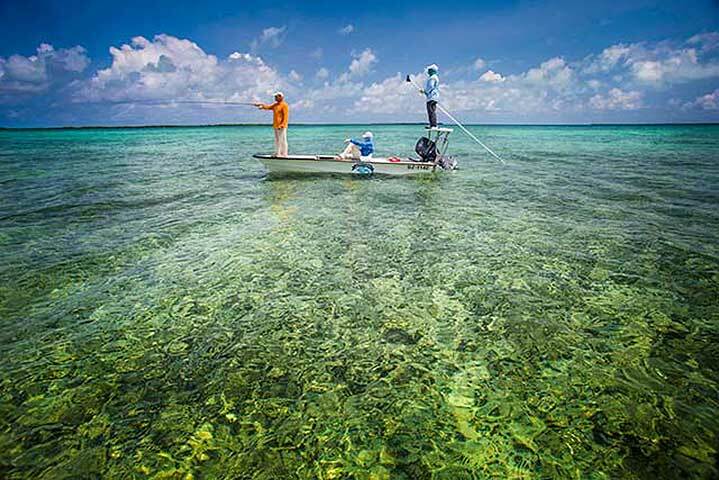 These picturesque flats are inhabited by schools of bonefish and on an average day you are likely to see hundreds of fish. These schools of bonefish average 3-5 pounds but you will also have shots at bonefish in the 6 – 10 pound range and there are some double-digit bones to be found as well. Novice saltwater anglers have plenty of opportunities and seasoned anglers can find some challenging bonefishing as well, particularly for the larger fish. On the flats and along the mangroves in the lagoon, bonefish are not as plentiful but on average they are larger. Permit: For many years anglers have been coming to Turneffe Flats primarily to pursue permit. Permit are found on the bars and flats throughout Turneffe and we often see schools of permit offering great opportunities to land a permit. Most of our permit fishing is done from the bow of a poled skiff but permit can be seen while wading as well. You can expect plenty of shots at 10-20 pound permit with some fish in the 30-40 pound class. Tarpon: The tarpon migration is usually from late April through September although there are some resident tarpon around throughout the year. Most tarpon jumped are 60-90 pounds with some huge fish of 150 pounds or more. Most of our tarpon fishing is to rolling fish from the bow of the skiff.